When the Salt Lake City Tribune calls out a Republican, you can be assured the Republican is a POS. Reports indicate that refugees at the U.S. southern border could reach the 1 million mark this year, and the Trump administration has no plan to address this crisis. No plan at all. Other than to tell Mexico to solve the problem by intercepting these fearful, exhausted and impoverished people, and to close the door to any asylum seekers without respect to American law, this president has done nothing but rant about his own failures both privately and publicly. ...As the president stimulates and endorses internal and international unrest, he is simultaneously destabilizing his own government by side-stepping a Congress meant to provide checks and balances to his reign. Many of the senior posts within his administration remain unfilled, or when his act requires another contestant to administer his whims and take the blame for more failures, he appoints an “acting” chair, absolved of any public oversight via Senate confirmation. These indicators of a failed and noxious presidency are there for all to see in the numerous, careening accounts that reach our subsequent awareness and conversations. 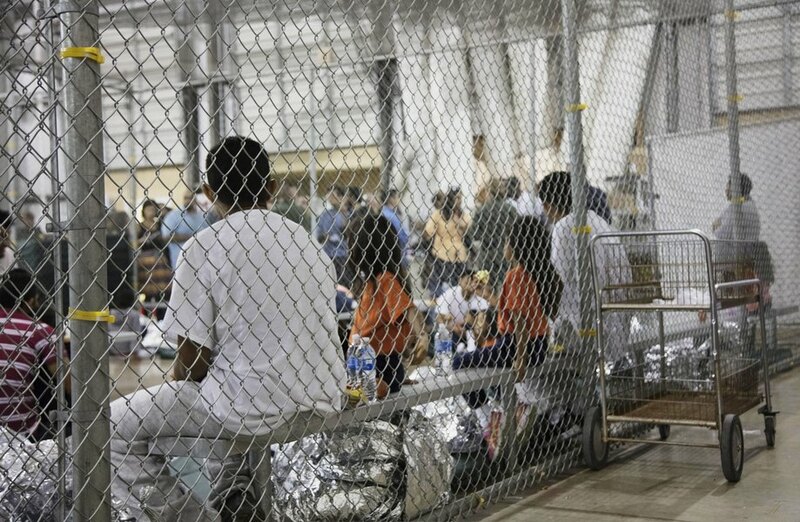 ... it will take at least a year to review the cases of 47,000 unaccompanied children taken in custody between July 1, 2017 and June 25, 2018. What hasn't Trump done that he should of? That's a great opinion piece. I agree 110%. I could have written it myself. I don't think the Dems should let Trump get away with blaming them for his failures. He's the President; it's his job to lead. He just can't get it done; he can't work with people. And I never thought I'd say it, but after watching the immigration situation explode under him, this situation could be heading towards some type of rupture. Obama faced a very similar situation in 2014, but he worked with Congress and other nations to get a handle on it, stemming the tide & decreasing the numbers. Trump just seems to be making things worse, and the numbers keep going up. And now he wants to welcome illegals, busing them deeper into the country with taxpayer's funds? The one question that remains is how long it will take American to recover from the rot and decay that is Trump. There is no bottom to this **** hole. Quick, she looks too happy. Cut her benefits! Aside from the cruelty it takes to cut necessary funds from a disabled person’s life because of a moment of activity, it seems willfully ignorant. Many in society already see disabled as “fakers” trying to take money from unsuspecting people, and this policy would only raise those tensions among the public. Disabled people are people, and as such, lead complex lives with ups and downs like the rest of the population. Relying upon a reductive narrative of disability is dangerous and will cost lives. Due to this, the administration should look inward and learn how to #BeBest. Willful ignorance is synonymous with Trump, his team and his followers. So, there is certainly no surprise there. Don't forget the corruption. Trump is President because he is making $$$ from his businesses like that DC hotel. Do you mean should have? The one prospect is the family in New York state prison for the crimes you mention. They would all look great in orange jump suits. Lead. Work with Congress. Forge a deal. He had a wall-for-DACA deal, but he threw it away. That would have been a great start to help stem the illegal crossing tide, and also do right by the DACA kids. And it perhaps more importantly would have been a great start to productive policy & legislative sessions with his new Congress. Instead he not only threw his best deal away, but he shutdown the government dashing any hopes of future Congressional assistance. With Trump in office, there is no hope of substantive immigration reform, which is something the country really needs. If the Dems are smart, they'll run on immigration reform and let Trump's record on the matter stand for itself.